The rock climbing wall and zip wire is always a star attraction! This unique four person 25 foot high climbing wall has a system so that you can climb up and abseil down, or travel on the zip wire. The instructors will brief you, then it’s time to get going and get up there within a safe environment. The climbs can be varied from easy to extreme. 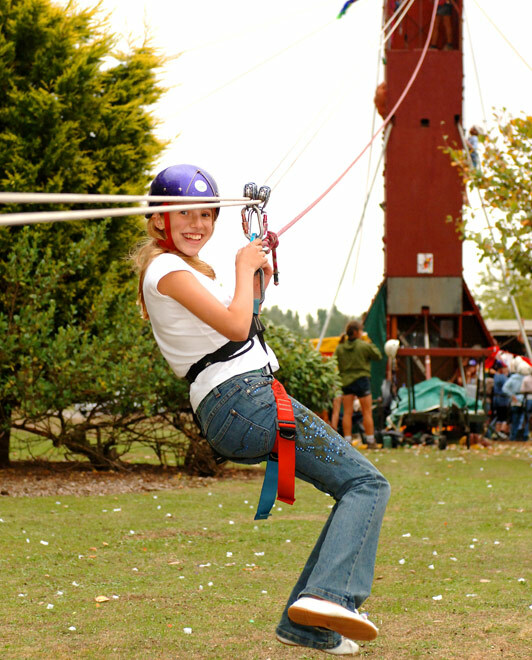 As an additional attraction the zip wire provides a great thrill and sense of achievement. See the rock climbing wall in action in the video below.